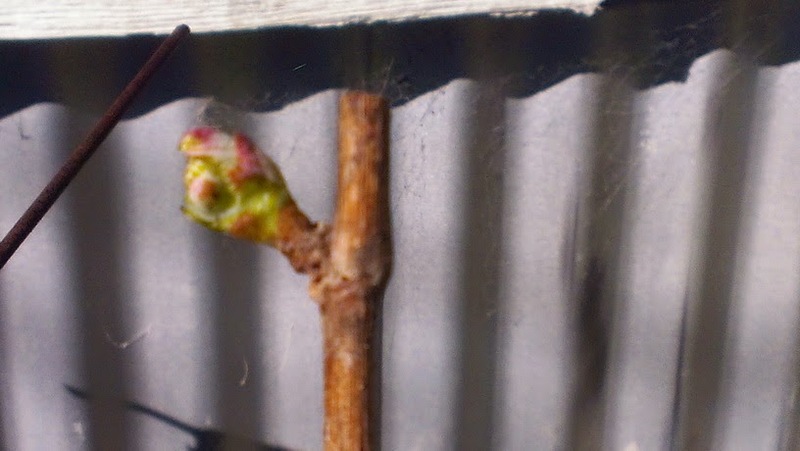 Looks like budding started mid August this year- Pinot was opening in the third week of August, below. Hmm. The potted Shiraz, a few, started budding by first week of September. The older six on the fence have not budded as yet though. All the mobile vines moved 4 Sep, two lines- 48 pots of established and 9 babies of Shiraz. Organising the irrigation now- small sprays to each pot. Still need a few more plumbing bits and pieces, and if I go away for a week or two, got an automatic irrigating thingamajig too. One of the old bottles that was actually okay and finished- on my own- over two nights- below. My friend Harry was also searching/making room in his cellar too- looks like another batch next week for the still. A Wine Society CabSav2000- into the still. All of last year's wine made- into the still- 30 liters! Not good. Will try to make a fortified wine from what is left of the garage foxy grape wine this year [20l]- it does not taste too bad, but some syrup and spirit may perk it up heaps. So- This years production- all but 20 of the 40l- INTO THE STILL, Bummer dudes- hopefully the brandy/rum at the end will be appreciated. No. It will be! A 2013 Rockford Alicante- YUMMY! A Rockford Pasket Press Shiraz- 2002- Yummy! Well, that's all for the The start of the 2015 vintage in the Portable Vineyard during the start of the 2014 Spring Downunder. 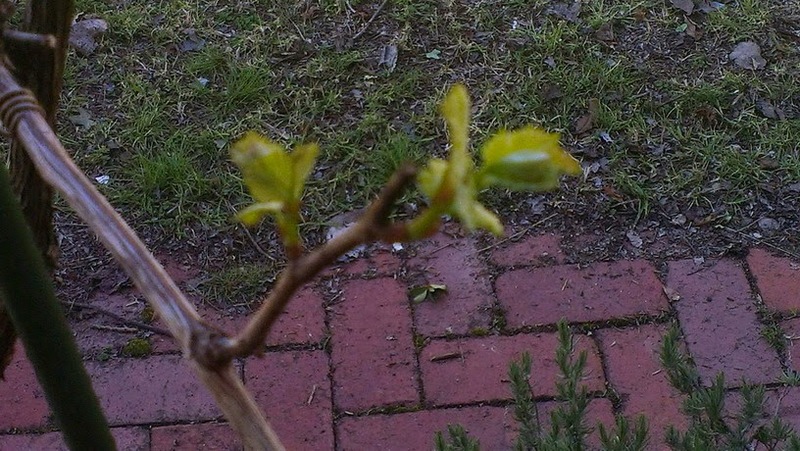 Hmm, the vines in the backyard are budding, as of the 11th of August. The portable Vineyard- and Winter 2014. The pruning was done two weeks ago, end of Autumn with 99.99% of the leaves dropped. But! What is surprising are some new buds! An anomaly I hope- spring was still a full season away! This year the pruning was severe and not- leaving at least a full cane for a few of the tubs and planted vines. Let's see what is croppable next vintage, although the Foxy Wine Vine will indubitably be prolific with no outside help at all! There was some replenishing of stakes- rotten ones removed and in place a plastic coated steel tube. No more trying to get cuttings going- last year's did not survive the lack of watering that #2Son was supposed to be doing while I was away. The irrigation system I dreamed up a year ago has yet to be implemented, but then so was replanting all the tubs into the yard has not been done either, but now- four years from now we may be out of this place- and I do want to keep a few of the plants, if not all. 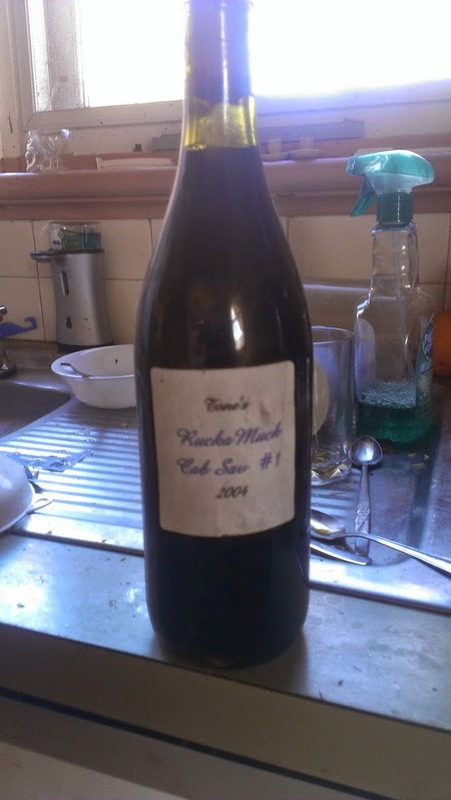 After a disappointing opening of 2000 and 2001 vintages of Basket Press bottles from Rockfords in the Barossa Valley [South Australia] the last few weeks, and luckily the last of the cases too. The last bottle of the 1996 and one of the 2002 did NOT disappoint AT ALL! Maybe a vertical tasting of what is in the cellar over the next few months is in line to make sure I am not keeping flat brown wines down there! So- who wants to do some small vertical tastings with me? 2001 to 2012? Sharing a 2002 and a 2003 in Buninyong with my brother and sister-in-law recently was a pleasant experience. In any case, I will be definitely going through the rest of the cases in the cellar by the time the Winter 2014 is over with help or not! The Basket Press of 1998 consumed last night was good, still some life, but probably not the $220 worth that I saw on an auction site later.